OptiMantra empowers practitioners to leverage the same platform and collaborate effectively in multi-disciplinary, multi-practitioner group settings through customizable modality-specific features and functionality. 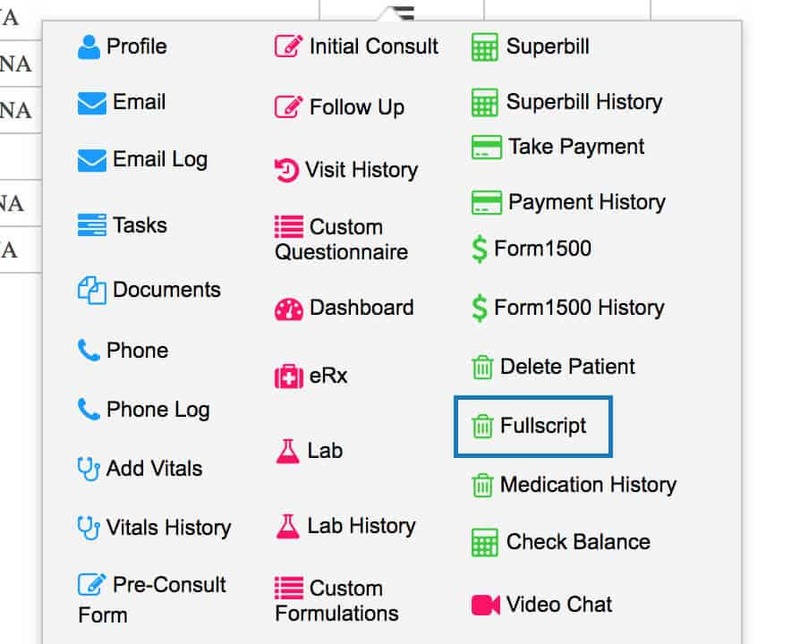 Log into your Fullscript account, hover over the name at the top right-hand side and click on Dispensary Settings > Integrations. Use the drop-down menu under “Create a Partner Key” to select OptiMantra and click “Create”. Scroll down to “Your Integrations” and copy your clinic key. Next time you log into Optimantra, click on the “Patients” tab. Next to any patient under “Actions” click on “Fullscript”. This allows you to paste your clinic key and select the type of practitioner you are then click on “Activate Account”. Not on Fullscript? Get Started Today! How much does Jane cost? Jane pricing can be found here. Can I integrate more than one Fullscript account to one Jane account? Certainly! You are able to integrate multiple Fullscript accounts to one Jane account. Each Fullscript account will have a seperate clinic key that can be added in the Jane. Can we view recommendations previously written on Fullscript in Jane? Not at the moment. Recommendations that have previously been written on Fullscript will continue to exist in your Fullscript account but they won’t be shown on your Jane chart view. What types of practitioners use JaneApp? A wide variety of integrative practitioners choose Jane for their EHR. Main users include Physiotherapist, Chiropractors, Acupuncturists, Massage Therapists, Naturopathic Doctors, Counsellors, Dietitians and Psychologists.